"A lateral thinker, who finds creative solutions." Christopher is regularly instructed in agricultural disputes of all kinds, both before the Courts, the Agricultural Lands Tribunal, and in arbitrations. These include disputes about tenancies and partnership dissolutions (especially family farming partnerships). Christopher is also a Fellow of the Agricultural Law Association, and gives regular professional development seminars nationwide on agricultural law. He is the Consultant Editor of the ‘Agricultural Lands’ chapter of Halsbury’s Laws of England, and a regular contributor of ‘A View from the Bar’ to Practical Law, as well as to the Bulletin of the Agricultural Lands Association. Christopher has advised and represented taxpayers and HMRC before the First-Tier Tribunal (Tax Chamber) and the Upper Tribunal (Tax and Chancery Chamber). Christopher will advise and act, both for beneficiaries and executors, in claims across the whole range of disputed wills (including disputes as to testamentary capacity and undue influence,) and claims (for both claimants and defendants) under the Inheritance (Provision for Family and Dependents) Act 1975. 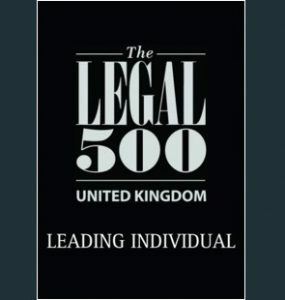 Christopher advises and acts in the range of matters which belong in the Business and Property Court, and especially disputes involving rights of way and boundaries, tenancies, mortgages, professional negligence (especially solicitors), fraud, and breach of fiduciary duties. Christopher accepts instructions to act as a mediator. He is an accredited mediator (Centre for Effective Dispute Resolution) and an associate member of the Association of Northern Mediators. He has considerable experience of representing clients in mediations. Christopher was appointed as an Examiner of the Court by the Lord Chancellor in October 2017. The term of the appointment is 5 years. Many other cases (reported on Bailli) as a Judge of the Tax Chamber of the First-Tier Tribunal in relation to income tax, corporation tax, and VAT. Aug 2017 – MORE ABOUT NOTICES: A CAUTIONARY TALE (click for pdf of article). November 2017 – WHEN IS A FARM NOT A FARM? (click for pdf of article).